2007 Auto Shanghai (English site here) opened over the weekend and is exhibiting all this week. There were over 100,000 people on the first day. The theme of the show is “Technology and Nature in Harmony.” Kind of different! I know that Shanghai planners are serious, and aware, of the issues related to car ownership in the city. With a government that can create the necessary infrastructure for energy efficient and alternative fuel vehicles, as well its super high population density and environmental pollution problems, China could in fact be a leader in creating new forms of public and private transportation. to name a few—the list of local names is long and keeps growing. majority of cars in China. It’s a matter of when, not if. Sina auto BBS is full of posts and photos mainly about the girls, such as The models are wearing so little, how can we look at the cars? 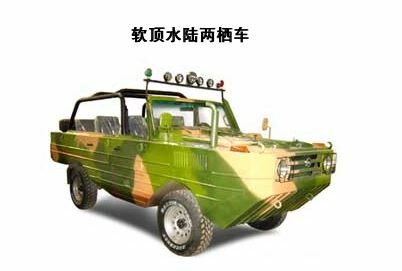 One of the more interesting vehicles being exhibited: Beijing Autoworks amphibious vehicle. 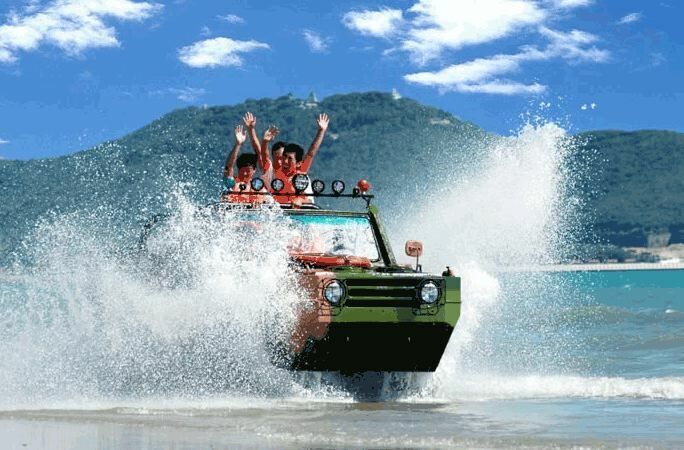 Maybe that’s what they mean by technology and nature in harmony–surfing the waves in your amphicar.